Rent a Philadelphia Brewery Tours Party Bus – The Perfect Alternative to Wine Tours! Allied Limousine offers exclusive brewery tours services to your favorite Philadelphia breweries. For all you beer enthusiasts, you will thoroughly enjoy taking trips to the local breweries in our fun and stylish brewery tours limousines and party buses. Our brewery tours are great for fun group outings or a birthday surprise trip for your beer-lover significant other, family member or friends. Our large fleet can accommodates groups of varying sizes. 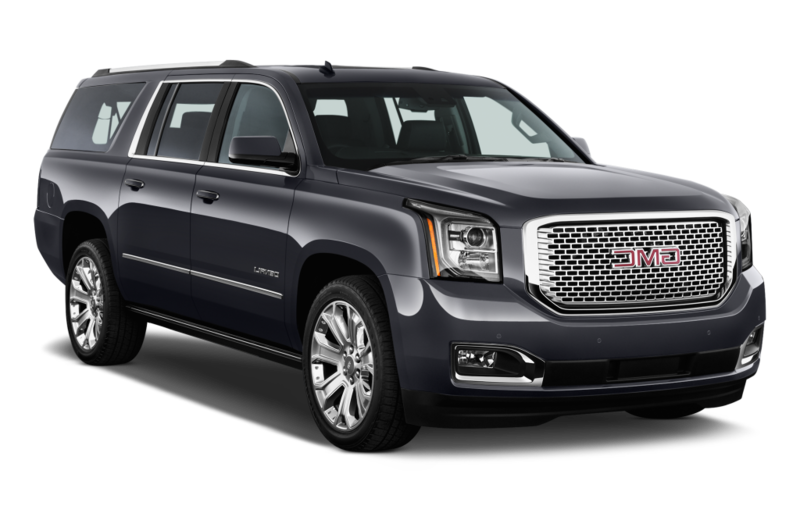 Our sedans can comfortably seat up to 3 and our SUV up to 6. 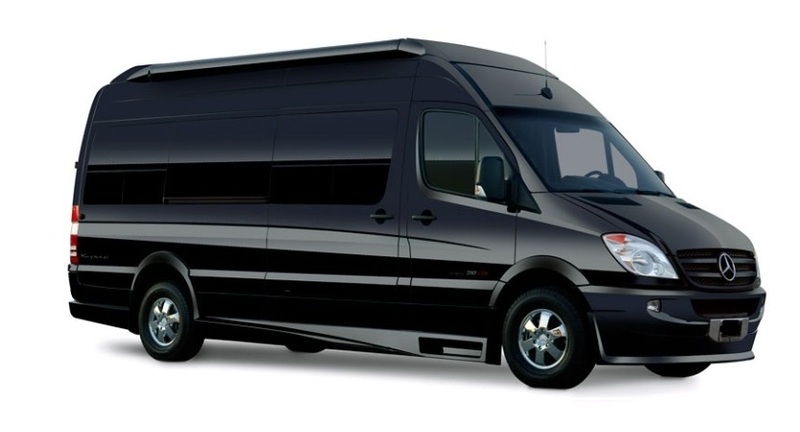 If you are a larger group, our party buses or mini coach bus will do the trick. It doesn’t matter the selection, you will travel in ultimate comfort and style on your brewery tours when riding with us. Our drivers know the routes and brewery stops like the back of their hands and will have you arriving safely and on-time to each destination. Call us today at 215-752-2100 to see how we can help you put together the perfect brewery tours package for your group. We look forward to hearing from you! Below is a list of a few of the local Philadelphia Breweries we can get you to with our Brewery Tours package based on county. If you do not see a brewery listed, not to worry–we can take you anywhere! Free Will Brewing Co.:Emerging as a leader in the sour-beer trend, Free Will has vastly expanded its downtown Perkasie space to devote an entire floor to making sours. That doesn’t mean the other intensely flavorful beers — think mango habanero IPA — are going anywhere, to the delight of Free Will fans. Proper Brewing Company: Quakertown’s neighborhood taproom emphasizes all that is fresh and local, beginning with its 12 taps of beer (chocolate milk stout, dark IPA, blonde ale), brewed on the premises. Set in the historic Palace Theatre Building, Proper also serves PA-centric cocktails, wine and burgers. The Other Farm Brewing Company: A self-described “sleepy little café” located in the former Boyertown Brewery has transformed itself into a nano-brewery that welcomes collaborations and experimentation. Brewers rely on local produce for some of their beers, including the rare Saisonner style, which can be sampled with a seasonal choice of infused apricot, blackberry, cherry, blueberry, peach or raspberry. Depending on the time of day, visitors can eat breakfast, sample local ciders, meads and wines or enjoy time in the beer garden. Note: The beer garden experience includes the opportunity to chow down on BBQ and either listen to live bluegrass and honky tonk or rise up for an electric dance party. Bucks County Brewery: Owner Andrew Knechel takes advantage of his proximity to his next-door neighbor, distillery Hewn Spirits, to simultaneously brew and distill products using shared ingredients. The devoted conservationist brings food trucks and music to the 2,500-square-foot brewery every Friday night. Doylestown Brewing Company: The son of a saloon owner and grandson of a man who opened a beer distributor in 1948, Joe Modestine makes seasonal brews in a full-service brewpub that opened in 2015 in downtown Doylestown. The Bucks County spot also serves up daily specials and deals like Rib Night on Tuesdays and half-priced burgers on Wednesdays. McCoole’s Red Lion Brewery: Using a single-barrel system to fine tune recipes and experiment on a small scale, Quakertown’s Red Lion Brewery tapped its first keg in November 2013. Find Red Lion beers always on tap at McCoole’s at the Historic Red Lion Inn, the brewery’s namesake restaurant. Mad Princes Brewery: Taking the extravagances of King Ludwig II as inspiration, two brothers named Ludwig concoct an eclectic selection of small-batch potables that ranges from Solebury Sweet Wheat (American style honey wheat beer) to Fassloch Kaltesbrau (bourbon barrel coffee stout) to Dead Squirrel (Belgian strong ale). The onsite tasting room, open on weekends, has a German beer hall vibe, and a friendly, personal approach. Triumph Brewing Company: The eastern Pennsylvania location of the mini-brewpub chain pours mostly standard Belgian, German and English styles (including ciders) from five taps and a hand pump. The rustically modern space houses live bands on weekends and open-mic nights on Sundays. Tower Hill Brewery: Culinary Institute graduate and landmark local deli owner Stan Kreft sources from local farms for his seasonal restaurant food menu, and he brews classic styles to match. The hoppy Powder & Rock IPA, the Robert Hare’s Porter black beer and the spicy Tatra Mountain Smoked Ale are just a few of Tower Hill’s top varieties. Vault Brewing Company: Housed in a circa-1889 bank, Vault’s allure comes as much from its quirky, speakeasy-esque design — including the original 125-year-old, 8,000-pound vault door that opens into the beer-conditioning cellar — as its beer. The brewery and wood-fired oven are visible from the dining room, and live jazz and funk accompany the unfiltered American, British and Belgian beers every Friday and Saturday night. Broken Goblet Brewing: It’s true that Broken Goblet Brewery produces some unusual beers (think tea-infused beers and a high-gravity saison), but what may be more notable is the fact that the office-park brewery comes equipped with a soundstage and professional audio/video capabilities. That means trivia nights, karaoke, comedians, live music and movies, along with seven beers on tap and some noteworthy hot-dog concoctions, such as the Uncle Paul Dog, with peanut butter, jelly, marshmallow fluff and bacon. Neshaminy Creek Brewing Co.: A former River Horse Brewing Company brewer and Seibel Institute graduate, Jeremy Myers, along with friends Steven Capelli and Rob Jahn, opened Bucks County’s first brewery, tasting room and gift shop in 2012. Myers won the Philly Beer Scene Awards’ “Brewer of the Year” in 2014, and then took it home again, along with “Brewery of the Year,” in 2015. Naked Brewing Company: Up and running in its present location since 2012, the nano-brewery that was started by two homebrewing friends churns out ales like Pomegranate Wheat, Carpe Noctem Black IPA and The Gentleman Imperial Stout. Several dozen bars in the Philadelphia area sell its rare black currant and ginger spice wheat beers, not to mention a variety of sours and one-offs. Yards Brewing Company: Owner Tom Kehoe helped ignite a craft beer revolution in Philadelphia, and as his 2014 designation as Philly Beer Scene magazine’s “Humanitarian of the Year” proves, he remains notably committed to sustainability and community. Visitors to Yards’ wind-powered tasting room can sample its mostly English-inspired ales while shooting pool or nibbling light fare from the kitchen or the food trucks on Saturdays and Sundays. Philadelphia Brewing Company: Operating in a facility that was originally constructed as the Weisbrod & Hess Brewing Company. Among its styles are the flagship Kenzinger, a crisp and hoppy pilsner that pays homage to the German heritage of the original brewers, Pennsylvania Pale Ale, for those who seek a more full-bodied and hoppier experience and Walt Wit, an unfiltered Belgian white ale. Keep an eye out for limited run and seasonal brews like the Rowhouse Red or Joe Coffee Porter plus three ciders — raspberry, ginger and traditional dry. Dock Street Brewery: Alongside traditional unfiltered ales and lagers are alternative and experimental styles, such as Bubbly Wit and Spanglish Fly (brewed with wormwood and yarrow), and special releases like Walker, a beer brewed with smoked goat brains to honor the TV show Walking Dead. Located in an old firehouse, the brewpub features wood-fired pizzas, Pennsylvania wines, beer cocktails and a calendar of on-site events. Head just around the corner from the brewpub to visit the Dock Street Cannery, an additional bar and airy hangout. Urban Village Brewing Company: Taking over a space in the Northern Liberties complex Schmidt’s Commons, Urban Village is the handiwork of Dave Goldman and Tom Revelli, who have combined their comparable passions for brewing and baking to develop this beer and pizza lover’s paradise. Goldman’s early-going stylings include a Rye IPA, a Citra Pale Ale and Beets by J, a Berliner Weiss brewed with more than 300 pounds of beets. Revelli, meanwhile, is a fellow fermentation fiend whose interests gravitate toward naturally leavened dough. Pizzas here are a big food draw, which are joined by small plates and sandwiches. Evil Genius Beer Company: The two Villanova grads who created Evil Genius pride themselves on innovative styles and funky names like: Purple Monkey Dishwasher Chocolate Peanut Butter Porter, I Love Lamp Pineapple Hefeweizen, Turtle Power Grapefruit Pale Ale and Trick or Treat Chocolate Pumpkin Porter. A 6,000-square-foot Evil Genius brewery and brewpub opened in Fishtown in March 2017. 2nd Story Brewing: At this two-story craft brewery and restaurant in Philadelphia’s Historic District, head brewer Jason Ranck presents classic ales and lagers, while executive chef Tyson Jordan serves American bar fare, including many vegetarian options. Crime and Punishment Brewing Company: Inspired by the words of great thinkers — such as the author of the brewery’s namesake, Fyodor Dostoyevsky — Crime and Punishment toys with a Russian theme in its décor and more. As the first 21st-century brewery to return to the neighborhood known as Brewerytown, the brewpub showcases Russian-inspired fare, like a kielbasa sandwich, a beet reuben and pirogis, in addition to eight rotating beers on tap, ranging in style from a New Zealand-influenced pale ale to an inky oatmeal stout. Saint Benjamin Brewing Company: Named for Ben Franklin, Saint Benjamin brews on a three-barrel system in the carriage house and stable of the former Theo Finkenauer Brewery, built in the Kensington neighborhood around 1880. Opened in June of 2014, brewer Tim Patton interprets classic styles and design new creations such as the Inca, an India-style cream ale and Junto, a coffee Kolsch-style ale. Bar Hygge: Earth Bread + Brewery’s Tom Baker and Peggy Zwerver teamed up with Stew and Julie Keener of Baggataway Tavern in West Conshohocken to create a brewpub in Philadelphia’s Fairmount neighborhood. “Hygge,” a Danish concept, represents the idea of making the every day more meaningful, beautiful or special. For the crew at Bar Hygge, that means enabling guests to turn a weeknight or weekend dinner into a cozy, neighborhood experience of contemporary American food paired with the choice of seven house-made brews. Brewery ARS: Run by two beer-loving brothers, this garage brewery in South Philly is open on Thursday through Sunday. From IPAs to saisons to porters, Brewery ARS is always brewing up something new. Second District Brewing Company: Just a few blocks away from Brewery ARS is Second District Brewing Company, a craft beer spot from a team with years of beer-biz experience at some of the area’s most popular breweries (Dogfish Head, Dock Street). The brewery serves up more than a half-dozen draft beers and a menu of tasty bar food. Roy-Pitz Barrel House: Purveyor of “Liquid Art,” the Chambersburg-headquartered Roy-Pitz Brewing Company brings its product to Philly via this Spring Garden emporium. The colorful industrial space sets the stage for barrel-aged ales like Sour Hound and Old Jail brown, plus inspired bar food like carrot hummus and mojo pork panini. Manayunk Brewing Company: This canal-side destination constantly updates its beer selections, which pour from 10 taps, including a hand pump. Patrons wash down stone oven-fired pizzas and sushi with a selection of brews that might range from fruity mainstay Schuylkill Funk Ale, a sour blonde ale brewed with cherries and cranberries, to Yunkin’ Punkin’, a fall favorite made with 100% real pumpkin and fall spices. Earth Bread + Brewery: From utilizing reclaimed furniture to composting, the husband-and-wife owners — who once owned New Jersey’s renowned Heavyweight Brewing Co. — are as committed to reducing their footprint as they are to creating wood-fired flatbreads and pouring a niche selection of beers and wines on draft. Regulars know not to get attached to any particular beer style, as brewer Tom Baker almost never repeats a recipe. Wissahickon Brewing Company: A Father’s Day gift of a homebrew kit led to years of experimentation, and finally this family-owned microbrewery in East Falls. Open Wednesday through Sunday, the tasting room offers house specialties like Devils Pool Imperial IPA and Czech, Please! Bohemian Pilsner. Iron Hill Brewery & Restaurant: Located on Germantown Avenue, Chestnut Hill’s main thoroughfare, this popular Iron Hill location in northwest Philadelphia joins Campbell’s Place and McNally’s in the town’s stacked beer scene. Tired Hands Brewing Company: This Belgo-French cafe-brewery has won some of the world’s most prestigious awards, including second place in ratebeer.com’s ranking of the best new breweries on earth. The married owners fill the menu with tasty culinary offerings such as house-made charcuterie and candied bacon, bread fermented with ale yeast and seasoned with fennel pollen, house-brined and whiskey-pickled snacks and locally sourced cheeses and produce. Rotating beers range from smoked sour saisons to blueberry imperial stouts. Guests enjoy it all throughout Tired Hands’ two floors. Iron Hill Brewery & Restaurant – Ardmore: Tired Hands got a nearby competitor when local chain Iron Hill Brewery & Restaurant moved in to a 280-seat space just down the road, bringing with it its lengthy beer list and tasty fare. The Ardmore location of Iron Hill features eight beers on tap, six beers visibly brewed onsite and an 11,000 square-foot restaurant. Tired Hands Fermentaria: Located just two blocks from the first Tired Hands location, Tired Hands Fermentaria takes everything that Ardmore’s cozy brewpub does and does it bigger. Expect a capacity of 260 people (180 in the dining room alone), three beer towers each with 12 taps and a menu that includes unusual takes on tacos, churros and more. Neshaminy Creek Brewing’s Borough Brewhouse: Neshaminy Creek Brewing and its head brewer and co-owner Jeremy Myers have racked up numerous local awards since opening in 2012, which may help explain why the brewery has continued to expand over the year. Its newest project, Borough Brewhouse, is a massive taproom in Jenkintown pouring NCBC beers along with grub from the team behind Revolution Taco. Conshohocken Brewing Company: “Conshie” is led by a brewing and ownership team with a notable pedigree. Both owners have received certifications from the Beer Judging Certification Program. The head brewer hails from Yards Brewing Company and his assistant put in time at Victory and Weyerbacher, located just outside the Philadelphia suburbs. At the taproom, vegetarian chili, soft pretzels and street tacos satisfy patrons who can eat them on a deck overlooking the Schuylkill River. Conshohocken Brewing Company – Bridgeport: Conshohocken Brewing Company’s Bridgeport Brewpub features many of the tasty beers from the brewery’s original location (see above), along with the added bonus of an expanded food menu. Find a large array of burgers and a curated selection of tacos, each of which you can score for half-off on respective Burger Mondays and Taco Tuesdays. Forest & Main Brewery & Pub: Voted 2012’s best brewpub by Philadelphia magazine, the half-British, half-Belgian brewery and cafe serves a full dinner menu of ingredient-driven sandwiches, seafood and gourmet popcorn out of a charming 19th-century mansion. Some beers are aged in wine barrels and others, true to British tradition, are poured at cellar temperature. Iron Hill Brewing & Restaurant – North Wales: A short 10-minute drive from the bustling downtown of Ambler, the North Wales location of the award-winning series of Iron Hills is just off of Route 309 in the English Village Shopping Center. Prism Brewing Company: Brewer/owner Rob DeMaria has gone from contract brewing in a small suburban brewpub to opening his own full-scale brewery with a bottling line and a tasting room. Open daily, the tasting room features everything from veggie wraps to T-bone steaks, plus live jazz and games. DeMaria adds twists to classic styles, meaning you can find him brewing his pale ale with whole-leaf tea and accenting his IPA with fresh local honey. Round Guys Brewing Company: Biologist Scott Rudich took on home brewing with the intent of opening a brewery. In addition to distributing to bars, the brewery features a taproom and a kitchen serving sandwiches, homemade hummus and nachos. As for the beers, Rudich pours 16 at the brewery, including some barrel-aged and sour beers. Stickman Brews: From a wild black ale to a Belgian double brown to a smoked saison, Stickman Brews invites you to sample one of its signature beers, all of which are centered around the concept of adding American twists to Belgian-inspired styles. Stickman Brews develops its own house cultures of farmhouse and wild yeasts to use in its beers, which are fermented and aged using an old-school, open-top style. At the brewery, find 11 choices on tap, each paired with a rather entertaining name, like the Hanging with Carnies Nitro Cream Ale and the Fat Guy in Suspenders Black Lager. Check the venue’s schedule for a list of upcoming live music and guest food trucks. Appalachian Brewing Company – Collegeville: As the local outpost of a Harrisburg brewpub that runs several locations, ABC’s Collegeville restaurant brews the experimental beers for the company. Alongside the alcoholic options are house-made root beer, white birch beer and ginger beer. The vast selection of gourmet pub fare includes burgers, fish and chips, quesadillas and more. Crooked Eye Brewery: Almost two decades years ago, Paul Mulherin’s son introduced him and his brother-in-law to home brewing. Today, the three of them run a nano-brewery that rotates 18 beers on 12 taps in the brewhouse. Sly Fox Tastin’ Room: To complement its brewhouse and eatery in Phoenixville, Sly Fox opened a brewery and tasting room in Pottstown in July of 2012. Officially called the Sly Fox Tastin’ Room, it features up to 30 beers and a rotating menu of pub fare. 2SP Brewing Company: Delaware County’s 2SP Brewing Company has some serious beer muscles behind its operations, including head brewer Bob Barrar, who won 29 medals between the World Beer Cup and the Great American Beer Festival with Iron Hill Brewing Company in Media. The brewery’s 20-barrel system has churned out a number of brews, including the aptly named Delco Lager, and the brewery distributes to bars in both Delaware and Philadelphia counties. Sterling Pig: Offers eight rotating beers brewed in small batches and tapped directly on-site. From IPAs to Porters to Pilsners, a wide variety of options seeks to cater to the flavor preferences of everyone that might be in your crowd. Wood-oven pizza topped with innovative ingredients, BBQ, burgers and other savory eats make up the food menu that’s served in a dining room overlooking the kitchen. Come chow down with a meal and beer from the brewery or simply take a growler to go. Iron Brewery & Restaurant – Media: The East Coast’s fastest-growing group of brewpubs has 14 locations and most are in the Philadelphia region, including this one on E. State St. in Media. Iron Hill’s acclaimed beers have accumulated a wealth of awards from the nation’s top beer festivals, and the restaurants have earned more than 100 “best of” nods from local and national publications. McKenzie Brew House – Chadds Ford: Eaters and drinkers in Philadelphia’s western suburbs have three McKenzie locations to choose from, including this one in Chadds Ford that patrons love trying the beers that have earned the company eight Great American Beer Festival medals and the top prize in a blind tasting of 28 local beers sponsored by Philadelphia Inquirer food critic Craig LaBan. Kennett Brewing Company: Jossy Osborne’s favorite brews include oatmeal stouts and rye pale ales while Mark Osborne prefers English bitters and German Pilsners. Together, the duo’s varying preferences have led them to craft over 20 styles of beer. Opened in 2015, Kennett Brewing Company prides itself on giving original twists to classic styles, offered alongside a menu of casual fare including items like short rib quesadillas and pepperoni flatbreads. Stable 12 Brewing Company: Originated when three high school friends decided to home brew as a hobby after college. They began at the horse farm where CEO Rick Wolf grew up and eventually expanded and established their own business. Stable 12 launched with four classic style beers — wheat, stout, IPA and amber ale — but has since moved on to experiment with saisons, barleywines, Russian imperial stouts and more. Levante Brewing Company: Taking its name, which means “rising,” from a region in Italy, Levante sprang up from two homebrewing friends who wanted to make beers in the explorative tradition of the Old World. There are more than half a dozen beers on tap that range from IPAs to Belgian Wits to an Imperial Vanilla Stout. This West Chester hotspot also hosts food trucks on Thursday through Sunday. Victory at Magnolia: When Victory Brewing Company opened Victory at Magnolia, it became the first brewpub in Kennett Square since Prohibition. The seven-barrel on-site brewery doles out Victory beers, including two or three exclusive to the Kennett Square location, and offers local Pennsylvania wines and even Victory root beer. A small house menu features chef-inspired daily menu additions. La Cabra Brewing: Brewer Dan Popernack experiments with seasonal varieties fermented in seven stainless steel and oak barrels at La Cabra, a top-notch brewery in Berwyn. A rotating list of ten beers are on tap at any one time, along with a Latin-inspired gastropub food menu. Victory Brewing Company – Parkesburg: With demand outpacing supply, Victory Brewing Co. faced a tough choice in 2011: Retract markets or expand production. With the 2014 opening of the company’s 140,000 square-foot brewhouse in Parkesburg, its clear what option they chose. The production space is equipped with top-of-the-line brewing technology and tools and is able to brew 225,000 barrels annually – more than double what can be done at Victory’s Downingtown location. Boxcar Brewing Company: What started in a garage in 2009 has become a full production brewery (that cans its beer) with a Prohibition-themed brewpub. Located in a former music venue, the pub hosts bands and family entertainment. The couple that owns the brewery produces a series called Community Supported Beer, which designates a charity recipient for proceeds from the one-off batches that comprise the CSB program. Iron Hill Brewery & Restaurant – West Chester: Located at the corner of Gay and High streets, Iron Hill’s West Chester location is in the heart of the town’s historic downtown and offers patrons its hand-crafted brews and pub fare. Don’t miss the Iron Hill Twilight Criterium, an annual event where hundreds of cyclists, including nationally ranked professionals and local amateurs, challenge themselves on the streets of downtown West Chester — and conveniently begin and end the race just outside the brewery and restaurant. Locust Lane Craft Brewery: Malvern’s taproom and brewery, open Thursday through Sunday, is so named for the street where its founders met. Inside, a growler filling station allows patrons to stock up on brown ale, IPA and Kolsch, while a living room beckons with comfy seating and games and food trucks supply the eats. McKenzie Brew House – Malvern: McKenzie Brew House’s Malvern stop sits on Lancaster Avenue, and offers residents and employees at nearby business parks a perfect place for a quick lunch or after-work happy hour. The brewery and restaurant has six of its own beers on tap — keep an eye out for the Route 202 pale ale, named after the highway that runs not far from the establishment. McKenzie Brew House – Devon: Ranked the 35th best brewery in the world in 2005 by CNN, Mckenzie Brew House has a lot going for it, including a long list of awards and a varied pub menu. Sly Fox Brewery: One of the oldest brewpubs still operating in the Delaware Valley, Sly Fox Brewhouse & Eatery in Phoenixville opened in December 1995. Renowned for its diverse styles, Sly Fox brewers have garnered numerous medals at The Great American Beer Festival and won best new beer at the 2014 Inquirer Brew-vitational for its Nihilist Imperial Stout. The brewpub has become both a local and destination favorite and has been named the best in the region by several publications. Crowded Castle Brewing Company: Formed by nine friends with shared a love of beer. Within the group lay a wide range of favorite beer varieties, bringing everything from IPAs to Maibocks to Belgians to red ales to the brewery’s taps. The Phoenixville spot offers a limited food menu, too, but also invites you to bring your own food into the taproom when you come. Iron Hill Brewery & Restaurant – Phoenixville: Phoenixville’s branch of the popular micro-brewery chain lies on Bridge Street, the town’s main drag. As at any Iron Hill location, the beer sampler is always a great way to find just which of the 10 Iron Hill beers on tap you’d like to enjoy as a pint. Hollow Earth Brewing Company: The pared-down atmosphere at this small brewpub belies the decidedly quirky offerings. Visitors can nosh on chicken tacos while sipping beers like Cotton Candy Snowglobe, a hazy NEIPA, and Highly Suspect, a dry-hopped sour ale with pineapple and mango. We have a number of car options in a range of sizes to fit your needs for exclusive Brewery Tours.